QUICK JUMP: Contestants Pageant Information How to compete in Miss Staten Island Richmond County 2017? The decline in the interest of joiners in the Miss Richmond Pageant over the past decade has urged current organizers to revamp the whole event. Laura Vantiem-Ottenbacher earned her title as Miss Richmond in 2003. She continued to be involved with the pageant as a fan and as a part of its history. She became an event emcee before and now she will be spearheading the 2017 pageant event as the appointed chairperson. Over the past years since Laura’s reign, the organizers noticed the drop in contestants every year. From 12 competitors in 2003, numbers decreased up to 4 to 8 contestants interested in getting the Richmond crown. According to this year’s chairperson, the lack of interest from teenage girls joining must be from a misconstruction of the pageant. Seeing how the girls of Miss Richmond 2016 enjoyed their journey, Laura Vantiem-Ottenbacher is determined to bring more enthusiasm to the pageant. She plans to create more buzz to build up interest this year. The organizers released a survey to 40 high school girls to find out why they don’t like to join the Miss Richmond pageant and what would make them participate this year as a form of promoting the event as well. The survey resulted that 95% of the girls will more likely participate if scholarship money was involved. Vantiem-Ottenbacher presented this to the Good Old Days Committee to decide upon while they continue with their meetings with interested applicants on February 8 and 9. The sponsorship of the gowns, t-shirts & jackets of Miss Richmond and her court members are to remain in addition to the monetary perk. Both Richmond queens, Laura Vantiem-Ottenbacher and Ashley Kuzatko, encourage girls to join and experience being Miss Richmond. This opportunity might just be one of the best decisions they will ever make in their lives. 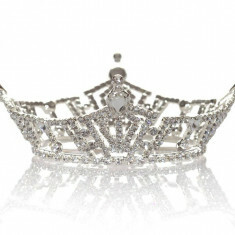 How to compete in Miss Staten Island Richmond County Scholarship Pageant?